Lacey towing company, Nisqually Automotive & Towing provides 24hr towing services in Lacey and along I-5 in Union Mill and Lacey. 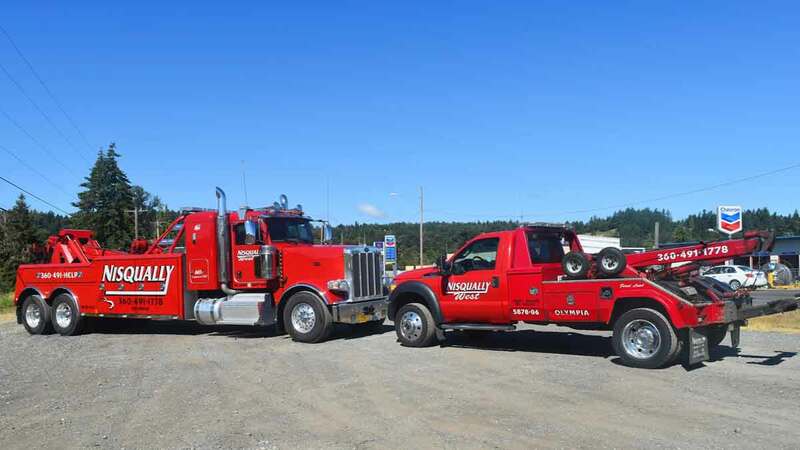 Located just minutes from Lacey, our light duty flatbed tow trucks and wreckers are ready to respond quickly and safely to your towing needs. Our uniformed and Wreckmaster certified operators are prepared to solve your emergency towing or recovery challenge anytime – 24/7/365. We have trucks staged throughout the area, so call our 24hr dispatch center at 360-491-HELP (360-491-4357) for fast and affordable Lacey towing service. Founded in 1980, Nisqually Automotive & Towing has been the trusted source of Lacey towing services for over 30 years. Our fast-response service providers are Wreckmaster certified and trained in the latest towing techniques ensuring you the fastest and safest towing experience getting you and your car back on the road as quickly as safety allows. 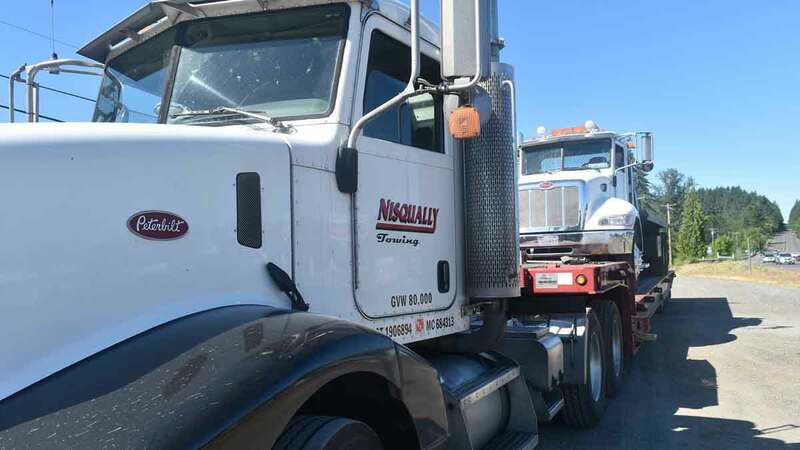 Thanks to our fleet of multiple flatbeds and wreckers, we can provide fast and affordable towing services throughout the Lacey area and can immediately respond with the truck closest to you. The Lacey Towing Team is dedicated to providing safe, quality and professional Lacey towing services. Our local towing services include: Car Towing, Light Duty Towing, 24hr Local Towing, Flatbed Towing, Motorcycle Towing, Emergency Towing, Long Distance Towing and more. Wet, slick, and snowy roads and windy conditions can make for hazardous traveling. Should you find yourself in need of Lacey off-road recovery services, contact Nisqually Automotive & Towing right away. With over 160 years of combined training and knowledge, our team is experienced in damage-free off-road auto recovery and will ensure no further damage occurs to your vehicle. Call 360-491-HELP (360-491-4357) to request our 24hr off-road recovery services in Lacey and along I-5 in Lacey.